War is looming between the Rajneeshees and a town of just 39 people — a “ghost town,” as Sheela calls it. Bhagwan’s followers are about to go to battle with the people of Antelope. 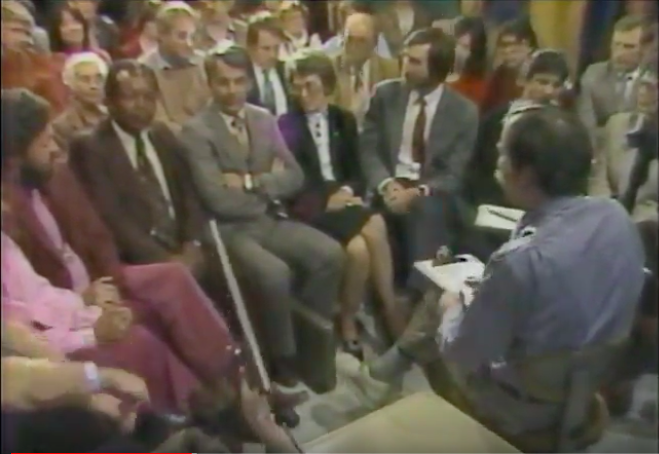 Audio clips come from two 1982 KATU programs hosted by Jack Faust, both available on YouTube and worth watching in their entirety: Town Hall: Fight for a City (May 1982) and Town Hall: Inside Rajneeshpuram (November 1982). 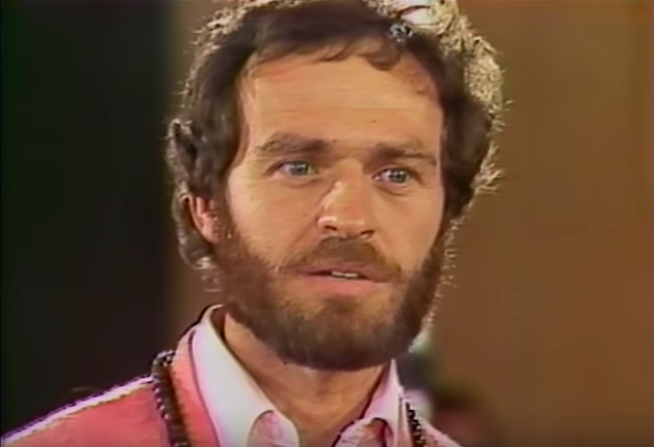 Many key players in future events in Rajneeshpuram — and many soon-to-be criminal defendants — make appearances in the program, including Ma Anand Sheela, Ma Prem Savita, Ma Yoga Vidya, and Swami Krishna Deva. KD’s trial testimony, which is referenced in this episode. The quoted report on Rajneeshpuram as observed in October 1981 by a federal investigator can be found in this compilation of INS reports. The report is written by Tom Casey, an INS investigator, who became the Rajneeshee’s chief antagonist in their impending immigration battles. Article written by Amy Faust, daughter of Town Hall host Jack Faust, describing her and her father’s interactions with the Rajneeshees. 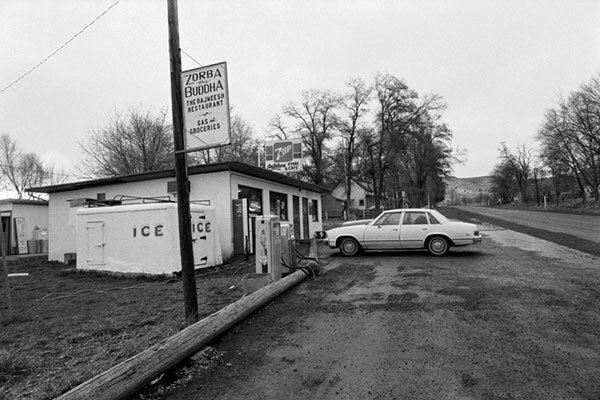 The Antelope Cafe, converted into “Zorba the Buddha Rajneesh Restaurant” in 1982. Town Hall Filming, May 1982. From Left: Jayananda, Federal Mediator John Mathis, Antelope City Attorney Keith Mabely, Antelope Mayor Margaret Hill, and 1000 Friends of Oregon Attorney Paul Gearhardt. Town Hall Filming, May 1982. From Left: Host Jack Faust, Rajneeshees’ Lobbyist Bob Davis, Ma anand Sheela, Jayananda, Federal Mediator John Mathis, Antelope City Attorney Keith Mabely. Town Hall Filming, November 1982. Jayananda and Sheela at right.